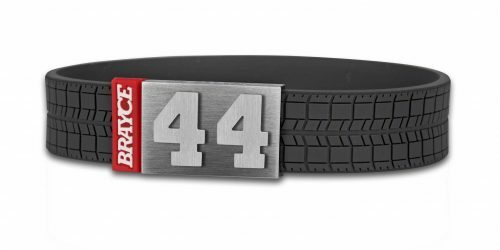 If you love the speed, the checks, the passion, you’ll love our BRAYCE® hockey puck bracelet. This bad boy feels as cool as it looks. 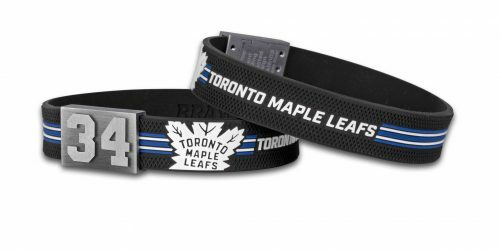 Designed in the authentic style of a hockey puck and constructed with the hidden and patent pending MagAttrac® 316L stainless-steel closure to give you an extraordinary look and feel. You are proud of your sport? Show it! Thanks to our hockey puck bracelet you demonstrate your passion for the Game discreetly but unmistakably! 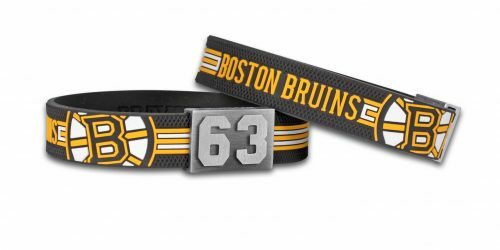 Our hockey puck bracelet is made of comfortable SuperSoft Silicone and wears the distinctive hockey puck pattern. A puck on your arm – that’s your hockey sports statement in the form of sporty, elegant jewellery! 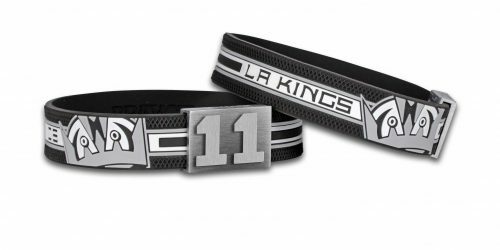 Show your love for the game with your hockey puck bracelet! 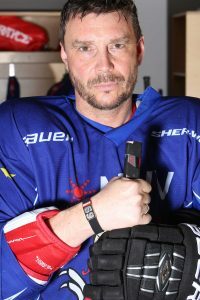 Our hockey puck bracelet offers everything a passionate hockey player could wish for: It is extraordinarily robust, resists every duel and offers the highest level of wearing comfort, because the sports bracelet consists of our innovative SuperSoft Silicone. The patented MagAttrac® closure holds everything your arm can hold – every check, shot and duel! 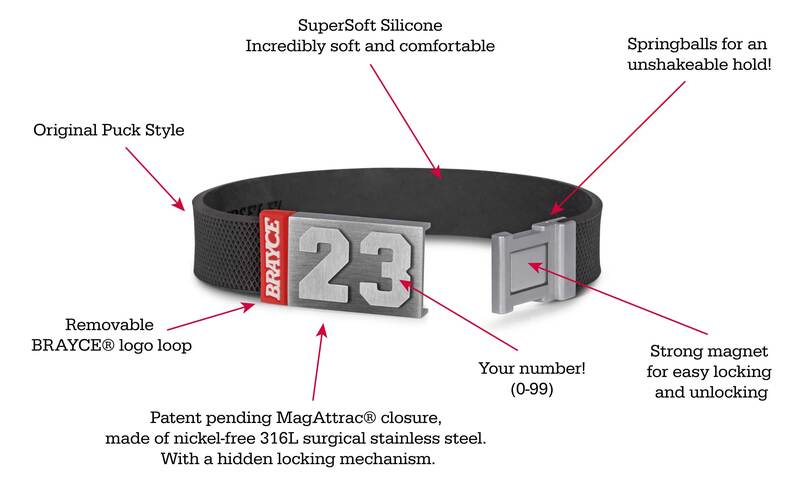 The 316L stainless steel buckle holds tightly thanks to the unique combination of magnet and click mechanism. 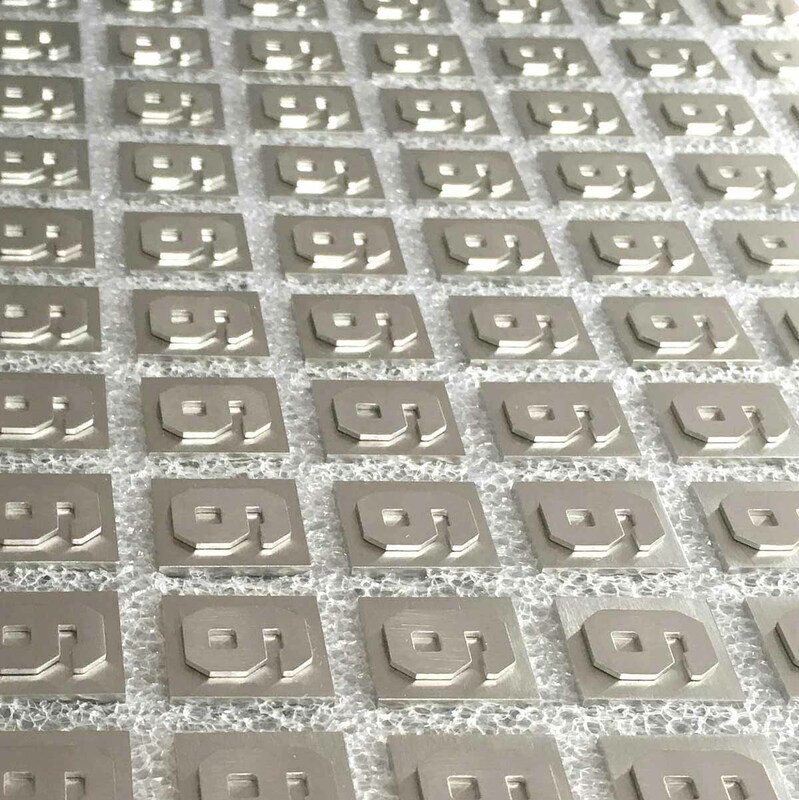 And at the same time it can be opened easily: A small arrow is engraved on the side of the closure. Just pull up on this side – that’s it and wear your jewelry with pride! 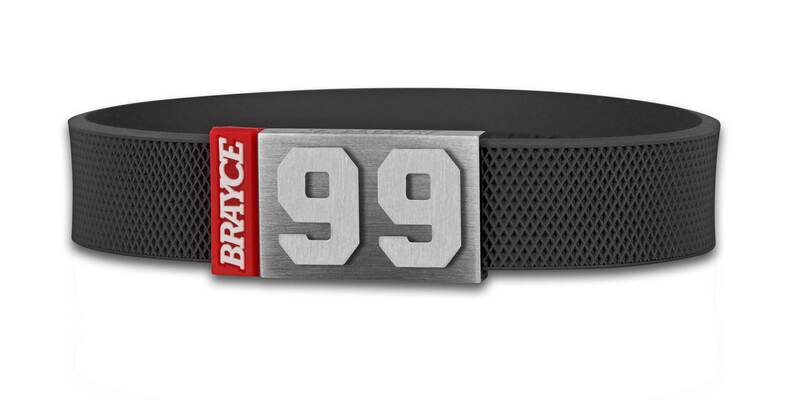 Puck & Lace – cool hockey powered by BRAYCE®! 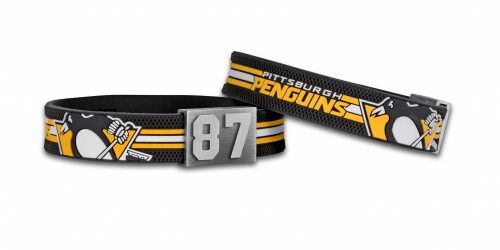 A Hockey puck bracelet for your whole team? No problem at BRAYCE®! 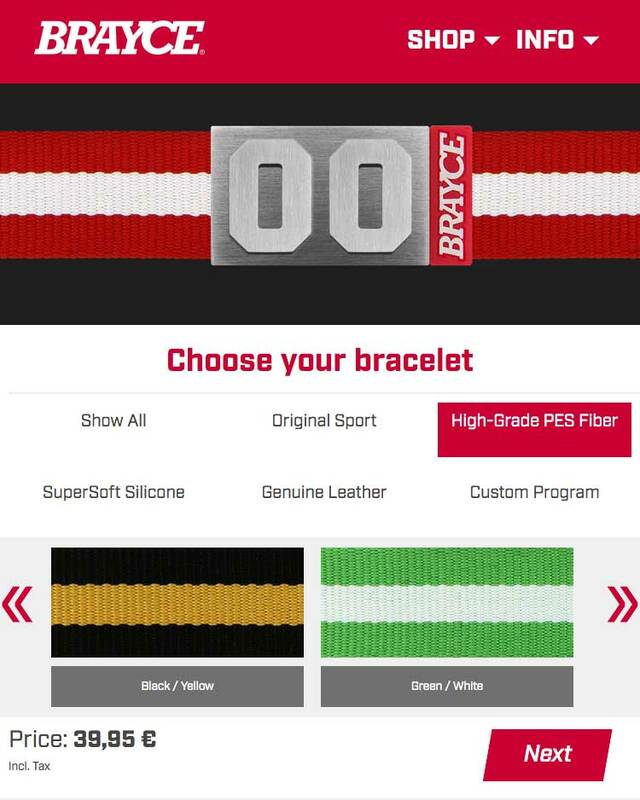 Of course, BRAYCE® also supports teams! That’s why we offer great discounts when you order directly for the whole team. 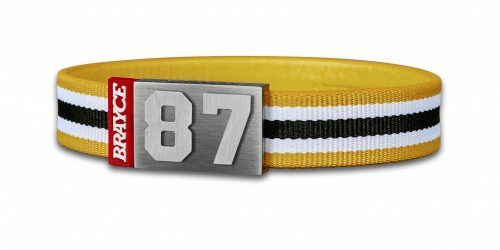 If more than 10 players from your club or team want to have the same bracelet – each with their own individual jersey number and size – then there’s a big discount for you! 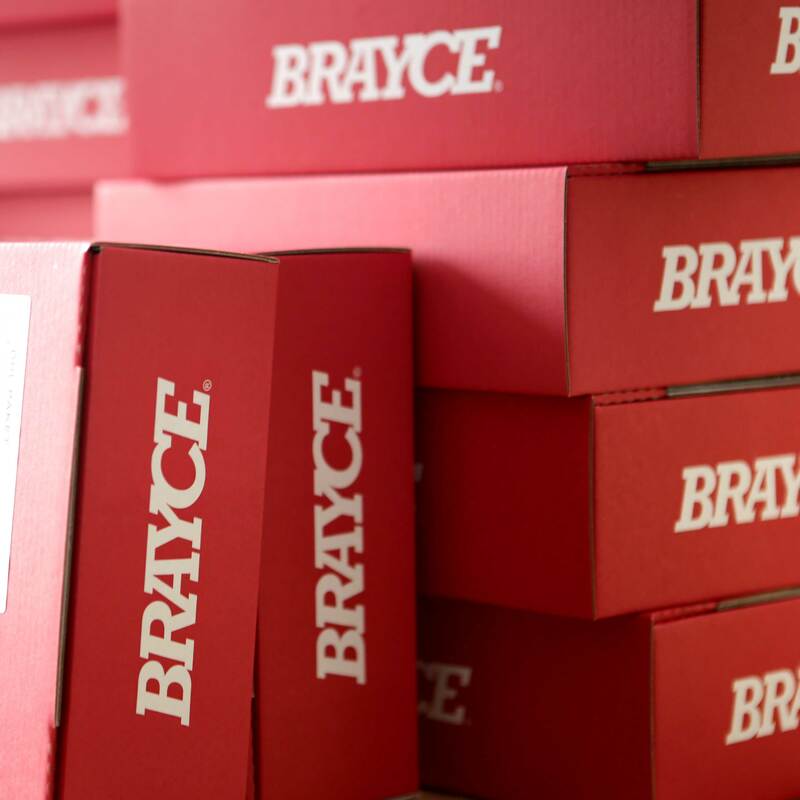 Just send us your request via the team discount form and we at BRAYCE® will make you an offer! 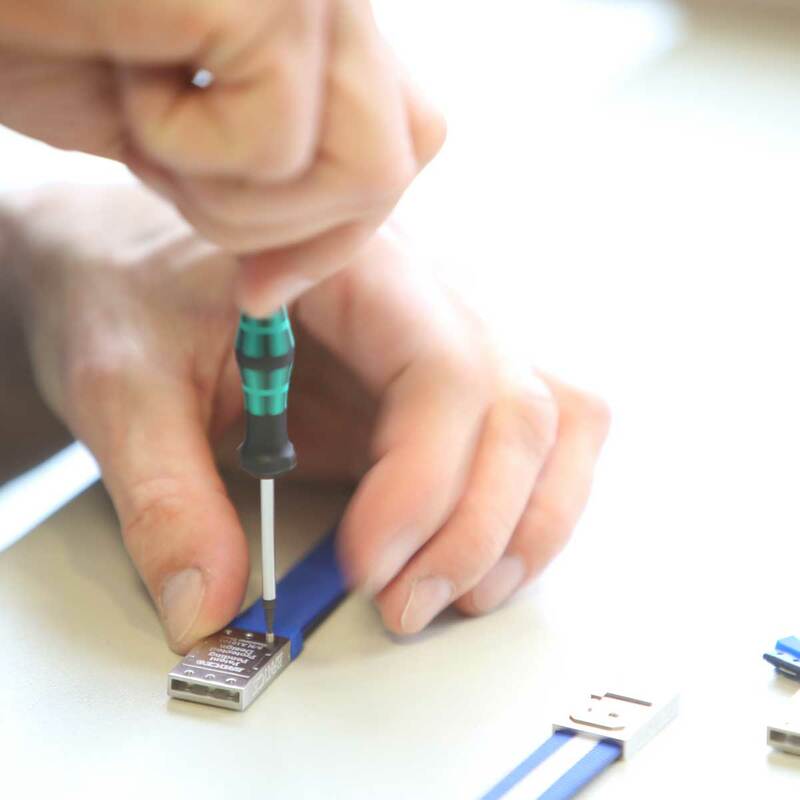 From a minimum order quantity of 300 pieces we develop an individual BRAYCE® club look for you If you already have ideas about how your BRAYCE® fan bracelet should look like, we will be happy to implement them for you – and otherwise we will be happy to surprise you with our design. Get in touch!